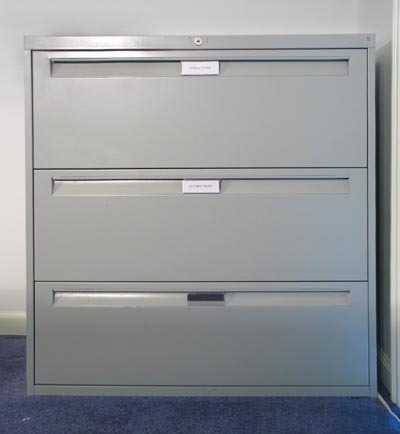 The currently posted new price for this high-quality three drawer lateral file by Steelcase is $1,165. You can buy this previously owned Steelcase file at nearly 85% off the new price (see documentation below) for just $195 from a private owner - forced to down size due to the economy. Steelcase is known for its high quality standards, and this cabinet is in like new condition, ready to provide you with many years of trouble free service. 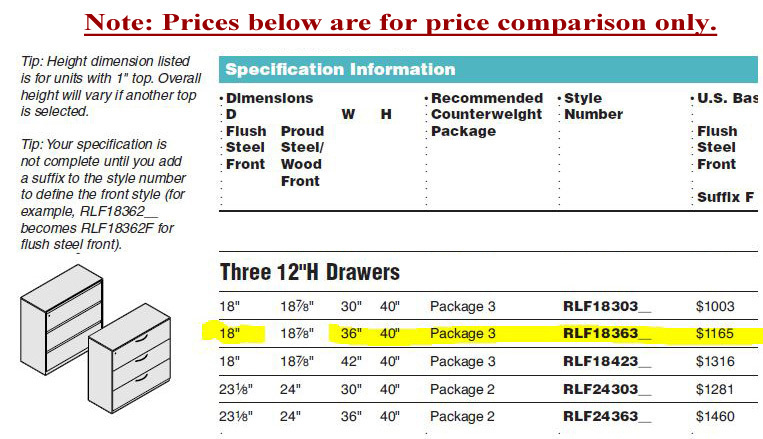 There is a reason why quality costs more - durability and functional design excellence makes this lateral file a great buy - one you can not match for the price. The buyer can pickup this cabinet at its Kirkland location, or call the number below for information and other delivery options. Link to Steelcase Ellipse Office Furniture Specification Guide	and Price List - please be patient - it's a big file.